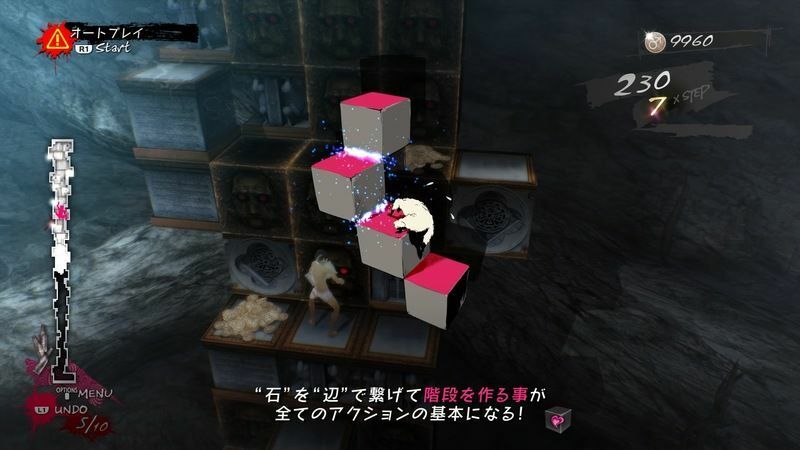 A list of useful techniques and tips for beginners in Catherine: Full Body, including basic mechanics, actions, inputs, and other useful strategies. You can grab the action puzzle block with the ○ button and move it with the directional pad. Some blocks cannot be moved, so check the pattern of the puzzle carefully before acting. Climbing blocks is allowed, though you will only be able to pull yourself up a single step. If you want to reach a higher area, you will need to create stairs with the blocks. When jumping down from a high place, make sure that there is a platform to land on. You will die if you plummet to the bottom. Objects like Bells and White Stones change the configuration of the terrain. These objects have their uses throughout different levels, so try to collect them whenever possible. 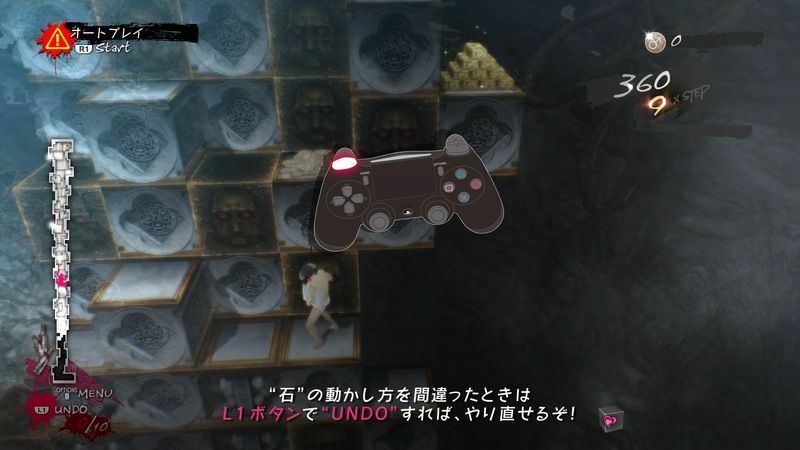 When playing on lower difficulties, you will not need the mentioned items too often. Picking up another item will replace the one you are already carrying. Money and gold pieces fall in the puzzle. These are only good for points and have nothing to do with the puzzle’s solution. When first starting out, focus on finishing the puzzle before anything else. Press L1 to UNDO any mistake made when solving a puzzle. UNDO has a limit, however, and should be used sparingly. UNDOs are unlimited when playing on Safety. You will not have the option to UNDO when playing on hard. There is a time limit in all game difficulties outside of Safety. The lower platforms collapse as time runs out. 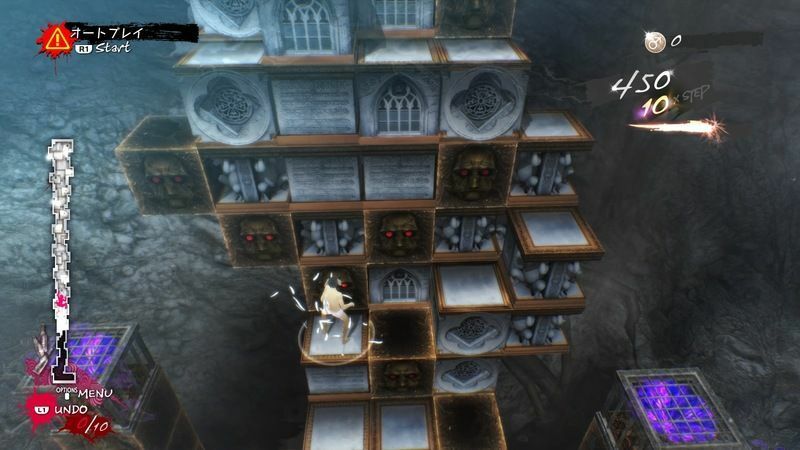 You will get a Game Over if you fall down the abyss below, so try to solve the puzzles quickly. 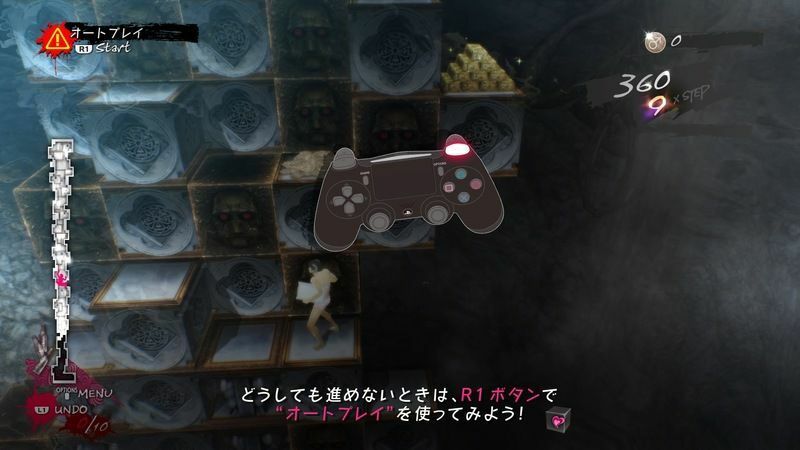 For action puzzles, using the directional pad is recommended. You will need to operate the controls in both portrait and landscape modes, which the directional pad is best suited for. A block will not drop if the sides are connected. 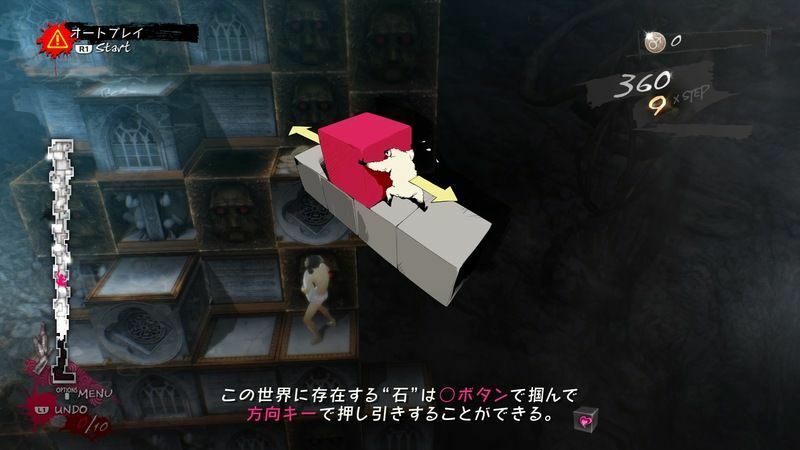 Creating stairs to move around is one of the most basic and important techniques in Catherine: Full Body. 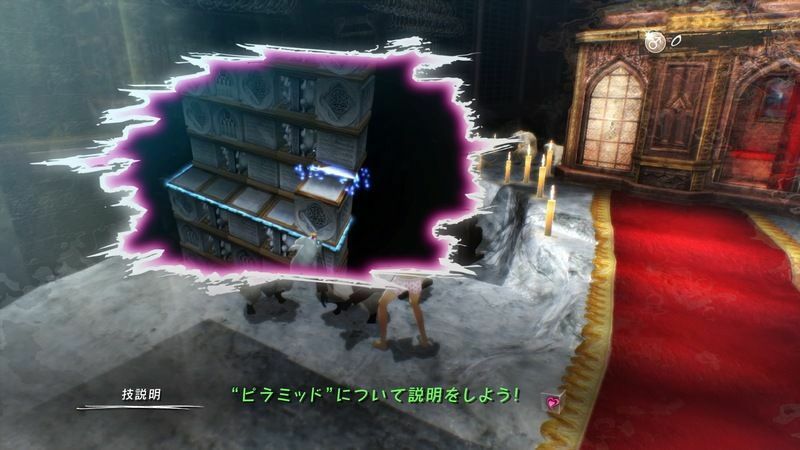 Catherine can use special actions called Skills. Knowing all of them is important in solving puzzles as most of them are usable at any point in the story. 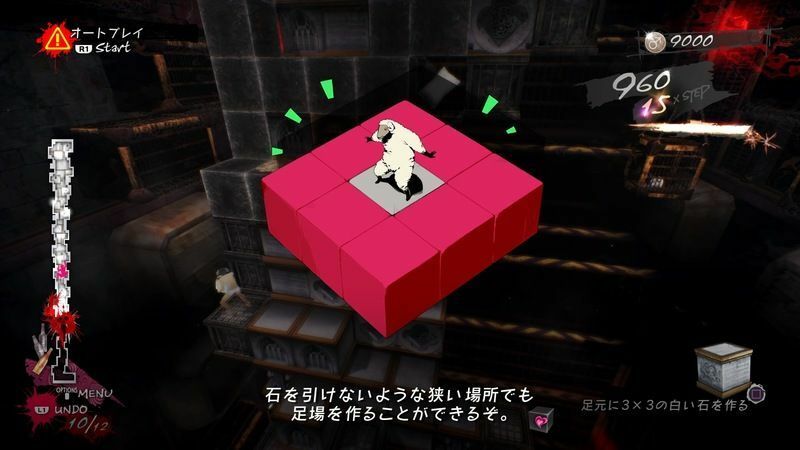 Each puzzle has a certain pattern or gimmick. These become more complicated as you progress through the main story. Understanding the mechanics and patterns can give you a shortcut to clearing a stage. You can activate Auto Play when playing on Safety or Easy difficulties. 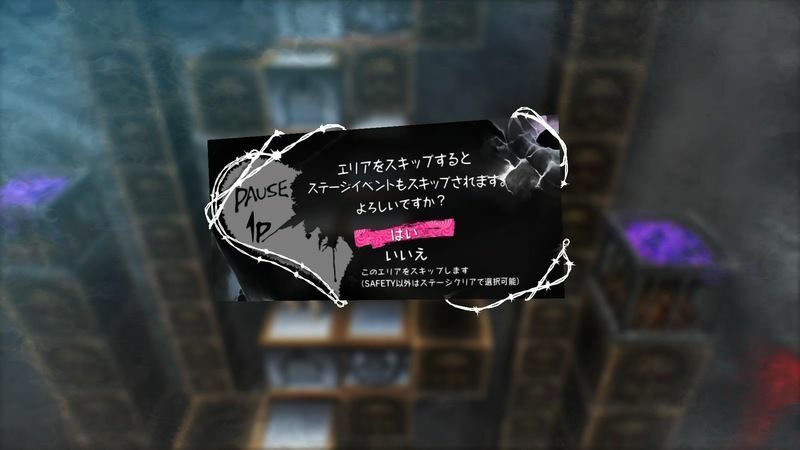 This can either be used to find the next step in the puzzle or completely clear the puzzle. 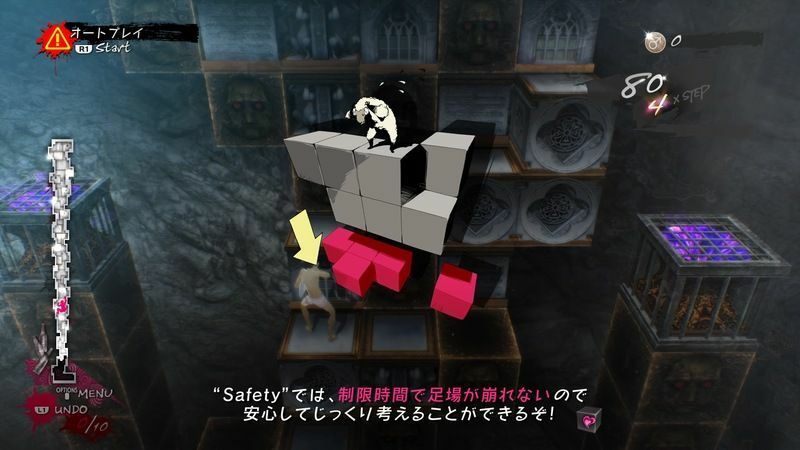 When playing on Safety, you can skip puzzles. There is no penalty for skipping puzzles making it convenient for people who just want to enjoy the game’s story.